One of the most unexpected titles to appear on the Publishers Weekly bestsellers list is a slim volume The Life-Changing Magic of Tidying Up: The Japanese Art of Decluttering and Organizing by Marie Kondo [648 KON, also AB/CD 648 KON, and ebook]. The list, based on bookstore data through August 23, shows The Life-Changing Magic of Tidying Up at #10, and, the book has been on the list for 34 weeks! It seems that Americans are starting to be overwhelmed by the amount of stuff they've been accumulating. We've become a "cheap-goods/throw-away" society, but many people can't seem to actually throw things away. The Life-Changing Magic of Tidying Up has a few reader names on the waiting list, but that doesn't mean we don't have scads of other titles that deal with "tidying up" your space. You'll find these titles in the 640s section. We also have a DVD, Organizing from the Inside Out [DVD 640 ORG]. If looking in our catalog, use these slightly unfamiliar subject terms: "Orderliness" and "Storage in the home." Or, do a simple keyword search using "clutter" as your search term. 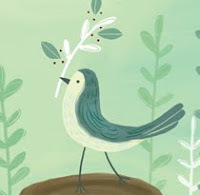 Poetry Friday--"Talking to Little Birdies"
Even if you're not a big poetry fan, Charles Simic is an engaging speaker. I saw him a year ago, and I've been waiting for another opportunity to hear him again. That opportunity is here! 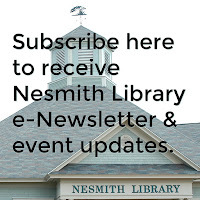 Simic will be the featured reader at the first New Hampshire Poetry Festival. The festival will take place on Saturday, September 19, at the NH Institute of Art in Manchester. To learn more and/or to register, click here. I'm surprised it has taken so long for New Hampshire to have its own poetry festival--NH is famous for its poets. Of course there's Robert Frost, who was also U. S. Consultant in Poetry 1958-59. 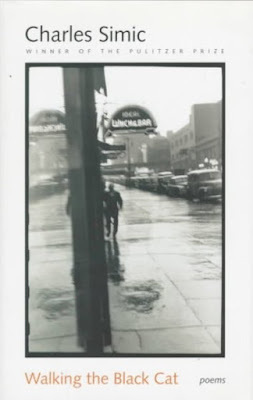 Frost was followed by Richard Eberhart 1959-61, who also hailed from NH. Other NH poets who went on to achieve the national honor, which is now called the U. S. Poet Laureate Consultant in Poetry, are Maxine Kumin 1981-82, Donald Hall 2006-07, and today's poet, Charles Simic 2007-08. Here's a poem from Charles Simic that tickles my funny-bone. It is from Walking the Black Cat: Poems [811 SIM]. As you hear me say this? Poetry for Children will be hosting this week's Round-Up. The blog belongs to Sylvia Vardell, who if you didn't know, is the co-compiler and editor, with Janet Wong, of the "Poetry Friday" anthology series of books. The newest in the series is The Poetry Friday Anthology for Celebrations: Holiday Poems for the Whole Year in English and Spanish [Teacher/librarian edition: 372.64 POE, children's edition: J 808.81 POE]. The summer's winding down, but there's still a lot of time to go fishing. Visit the New Hampshire Fish and Game website and click on "Fishing" at the top of the page. 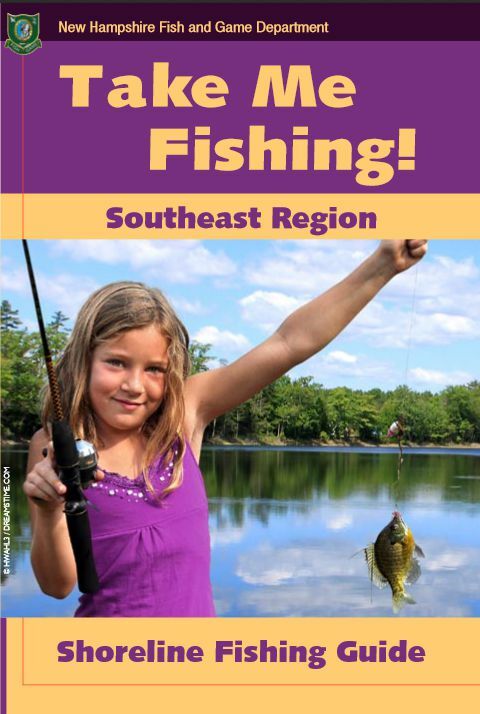 You'll find everything from learning how to fish, to fish fact sheets, to information on fish tournaments. If you click on "Fishing in NH" you'll find links to obtaining a fishing license, rules and regulations, and fishing news. There's also a link to locations you can fish. The list of locations is arranged by species! However, if you're a novice, you may be better off printing the "Take Me Fishing! 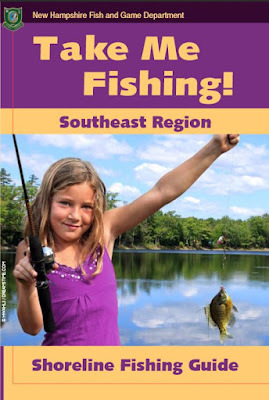 : Southeast Region" guide, which is found here. There will be an air crash happening today between 1:00 and 2:00. No, I'm not psychic! 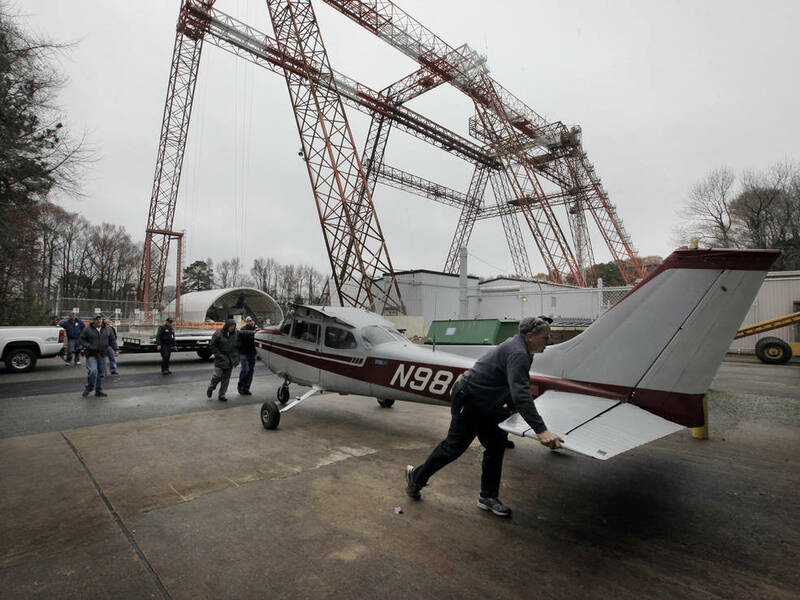 NASA is testing Emergency Locator Transmittors by staging a crash! Read the press release here. And, you can watch it happen live! Go to NASA TV. Photo credits: NASA/David C. Bowman. There are even more works of fiction about aircraft accidents. A recent one, which is on the bestseller list, is In the Unlikely Event by Judy Blume [F BLU, AB/CD BLU, also ebook and eaudio]. Today, Tuesday, August 25, the entrance fees to all U. S. National Parks are being waived! The National Park Service is celebrating its 99th birthday and we get the gift! How very lucky we are to have 408 national parks in this country. I urge everyone to visit one today. They are not all wilderness locations, although there are plenty of those! National Parks that are a short drive from Windham include the Saint-Gaudens home in Cornish, NH, and in MA, the City of Boston, the Boston Harbor Islands, the Essex National Heritage Area, the mills at Lowell, or the Minute Man National Historical Park. 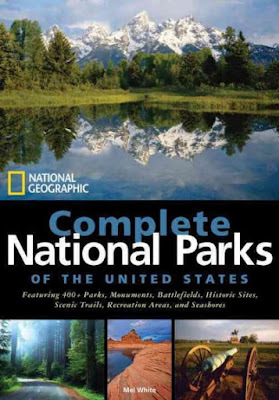 If you have plans for today, borrow Complete National Parks of the United States: Featuring 400+ Parks, Monuments, Battlefields, Historic Sites, Scenic Trails, Recreation Areas, and Seashores by Mel White [333.783 WHI] and start thinking about next year when the National Park Service turns 100! Last week President Obama released his Spotify playlist, read about it here. I joined Spotify a number of years ago. I quickly unsubscribed myself due to the huge number of emails and FB messages I started to receive. But, as I said, it was a while ago and I assume if I had paid for the premium services I would not have been inundated. Still, I'm not interested in resubscribing, but I am interested in the POTUS's playlist. Here at the library, we have CDs on which the individual titles can be found. The President recommends Al Green's cover of the Bee Gees' "How Can You Mend a Broken Heart." 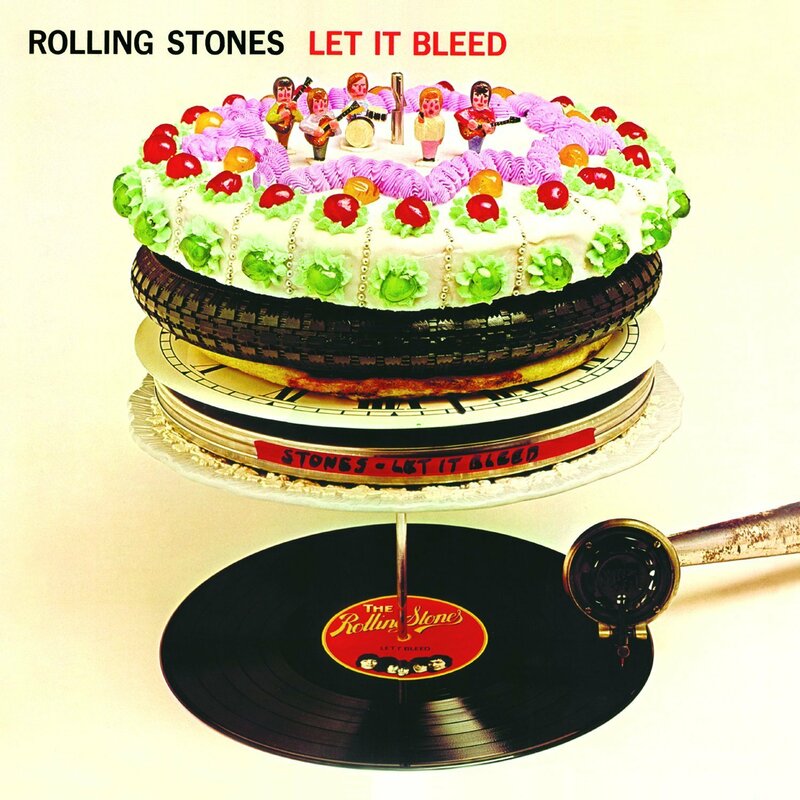 Green's version is on The Absolute Best [CD SOUL GRE]. Several other cover versions are available for you to compare: Michael Bublé's on the self-titled, Michael Bublé [CD MALE VOCALIST BUB], Ruben Studdard's on Soulful [CD MALE VOCALIST STU], and Diana Krall's on Quiet Nights [CD JAZZ KRA]. Another recommended title is "The Very Thought of You" by Billie Holiday, which is found on Billie Holiday Sings the Great American Songbook [CD JAZZ HOL]. If you use "The Very Thought of You" as your search term in our catalog, you'll find versions by Natalie Cole, Harry Connick, Etta James, Paul McCartney (in a duet with Tony Bennett), Aaron Neville, Rod Stewart, and Cassandra Wilson! The POTUS list includes some great "classics" such as "Moondance" by Van Morrison found on Moondance [CD ROCK MOR], "Gimme Shelter" by the Rolling Stones on Let It Bleed [CD ROCK ROL], and "Flamenco Sketches" by Miles Davis on Kind of Blue [CD JAZZ DAV]. For us here at the Library, the list will also be good for finding artists we may have missed along the way! The Lumineers are one example. Put on your earbuds and rock along with the POTUS! Kurious Kitty is taking a few days off. Reading is definitely on the list of things to do! Here are five titles I've read recently and recommend. And, if you have a book discussion group, may find all of these discussable! A companion book to Atkinson's Life After Life, A God in Ruins tells the story of the 20th Century through Ursula's beloved younger brother Teddy--would-be poet, heroic pilot, husband, father, and grandfather-as he navigates the perils and progress of a rapidly changing world. After all that Teddy endures in battle, his greatest challenge is living in a future he never expected to have. "A book is both medic and medicine at once. It makes a diagnosis as well as offering therapy. Putting the right novels to the appropriate ailments: that's how I sell books." Monsieur Perdu calls himself a literary apothecary. From his floating bookstore in a barge on the Seine, he prescribes novels for the hardships of life. Using his intuitive feel for the exact book a reader needs, Perdu mends broken hearts and souls. The only person he can't seem to heal through literature is himself; he's still haunted by heartbreak after his great love disappeared. Douglas Petersen may be mild-mannered, but behind his reserve lies a sense of humor that, against all odds, seduces beautiful Connie into a second date... and eventually into marriage. Now, almost three decades after their relationship first blossomed in London, they live more or less happily in the suburbs with their moody seventeen year-old son, Albie. Then Connie tells him she thinks she wants a divorce. All his life, Elijah Goldstein has idolized his charismatic Uncle Poxl. Intensely magnetic, cultured and brilliant, Poxl takes Elijah under his wing, introducing him to opera and art and literature. But, when Poxl publishes a memoir of how he was forced to leave his home north of Prague at the start of WWII and then avenged the deaths of his parents by flying RAF bombers over Germany during the war, killing thousands of German citizens, Elijah watches as the carefully constructed world his uncle has created begins to unravel. 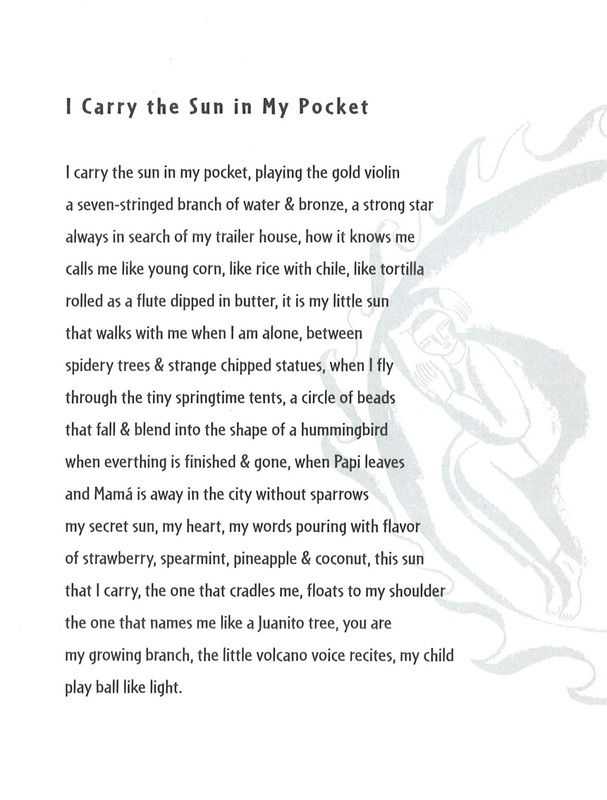 Poetry Friday--"I Carry the Sun in My Pocket"
Last week I shared a poem, written for adults, from the current U. S. Poet Laureate, Juan Felipe Herrera. Today, I'm sharing one written for young people. Herrera writes for both children and adults, and does each equally well. 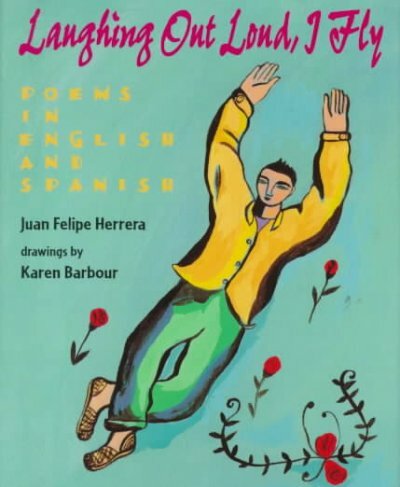 Laughing Out Loud, I Fly: Poems in English and Spanish [YA 811.54 HER] is a small volume (no bigger than a hand) that should appeal to young adults. It's also great for a Spanish language student to be able to read a poem in Spanish and to find the translation next to it. The following poem is full of colorful images of foods and nature, which I hope appeals to you as much as it appeals to me! The cover art and interior illustrations are by Karen Barbour. 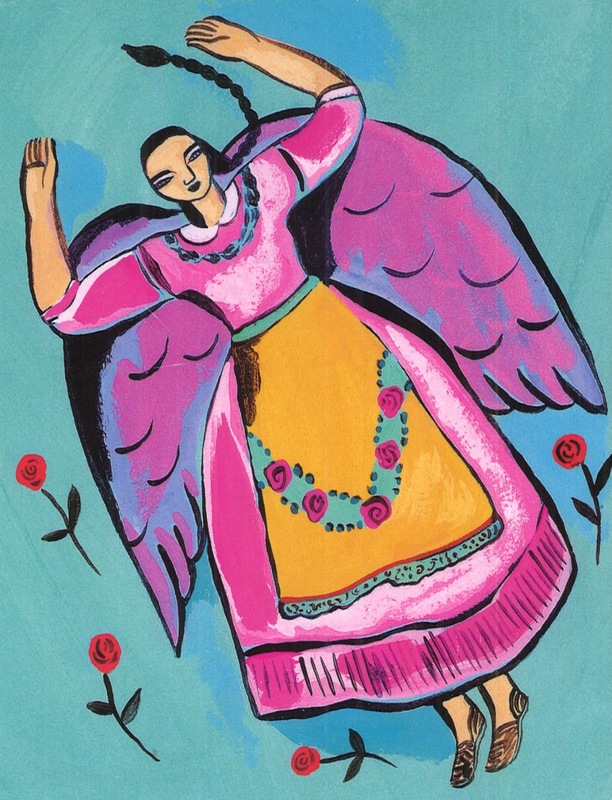 Here's the angel that flies off the back cover! Heidi is hosting the Round-Up today at My Juicy Little Universe. 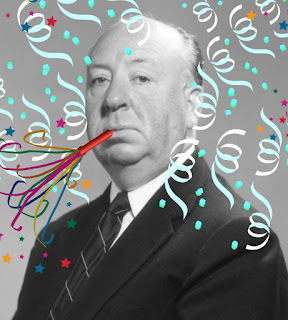 Film director, Alfred Hitchcock, was born 116 years ago today. He made his first film in 1926 and his last one in 1976--fifty years of thrillers that led to Hitchcock being named as "The Master of Suspense." I guess, if you asked people for the first Hitchcock movie that comes to mind, most people would say, The Birds, or would it be Psycho? Or maybe Rear Window? Original photo courtesy Wikipedia; altered for this post. The Vietnam Veterans Memorial Fund, the organization behind "The Wall," the monumental work of black granite which displays the names of those missing or killed in the Vietnam War, has a new feature on its website. 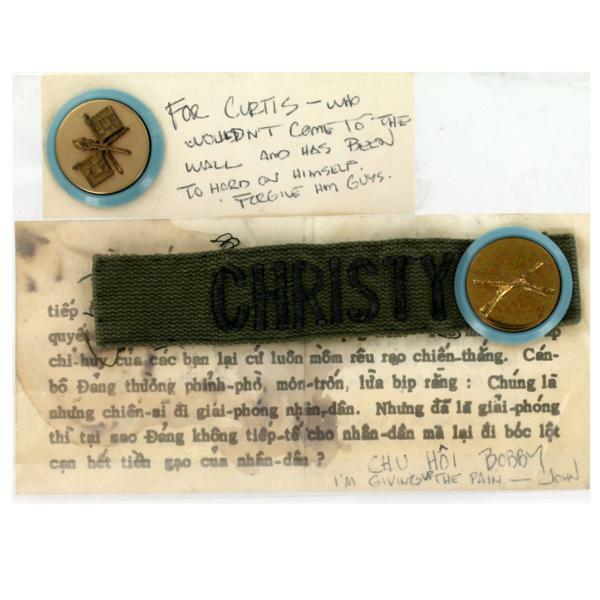 "Items Left at The Wall," is a sampling of the over 400,000 mementos left behind. 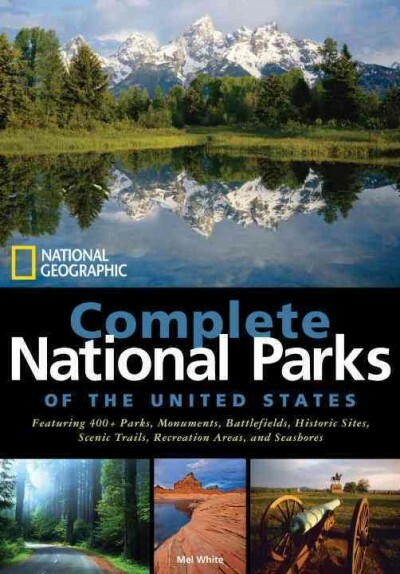 The National Park Service collects items every day and catalogs them. The VVMF's exhibit is expected, unexpected, poignant, puzzling, unknowable, and even humorous. I recommend viewing it. In Memphis, Tennessee, that is. It begin on Saturday and runs for 10 days, so if you're a big Elvis fan, there's still time to book a flight! There's a listing of festivities here. The Smithsonian Institution in Washington, D. C. was founded on this day in 1846. 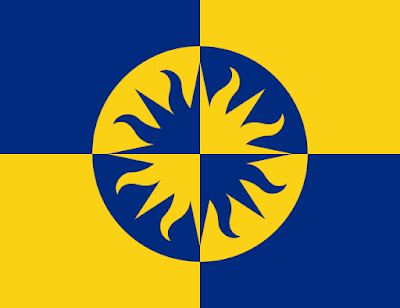 The Smithsonian is a group of museums and facilities for research that are under the purview of the U. S. government. It's vast and varied collections have earned it the name of "the nation's attic." The Smithsonian: 150 Years of Adventure, Discovery, and Wonder by James Conaway [069 CON] covers much of the Smithsonian's history. We are fortunate in that it costs nothing to attend the museums, many of which surround the National Mall. A visit to D. C. should definitely include a trip to the National Air & Space Museum or the National Museum of American History. The July/August [MAG SMI] issue has articles on Harper Lee's hometown, the Magna Carta, Pompeii, the Inca Road in Machu Picchu, and lots more. Our collection is full of books published under the auspices of the Smithsonian and cover varied topics such as natural history, penguins, the planets, and butterfly gardening! on E Street by the library. to make me a suit for graduation. His fingers were so thin, so dark. Usually, he labored on a sport coat. He seemed happy and at ease. One of the nice things about this collection is that it comes with an audio CD of the poet reading his work. 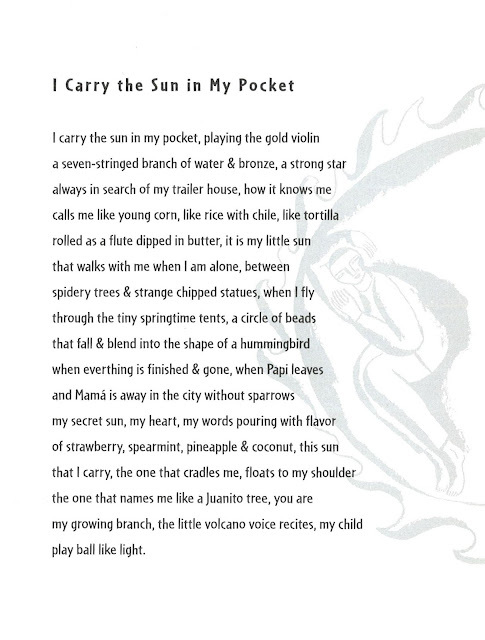 Some of the poems in Half the World in Light are pretty "heavy," but, Herrera's lighter side is visible in Laughing Out Loud, I Fly: Poems in English and Spanish [YA 811.54 HER], which is written for a younger audience. The Poetry Friday Round-Up for this week is hosted by Tabatha and is taking place at The Opposite of Indifference. I often post about national dates of note, for instance, yesterday was "National Underwear Day." Today, though, marks the 70th anniversary of the day the U. S. bomber, the "Enola Gay," dropped an atomic bond on the city of Hiroshima, Japan. 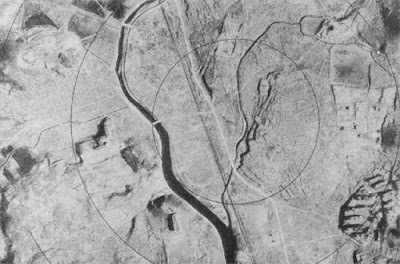 The top-secret bomb was intended to end the war with Japan, which had been going on since December of 1941. 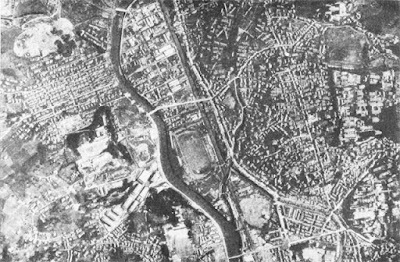 A second bomb was dropped on Nagasaki three days later. The surrender of the Empire of Japan was announced on August 15. The war ended, but the costs of using the atomic bomb were immeasurable. More than 200,000 of the cities' civilians were killed instantly or died as a result. The destruction was total. Back when I was a kid, we referred to my Polish grandmother's underwear as "gitchy-gotches. "* I always thought it was a nonsense, made-up, family word. Not so! It seems that "gitch gotch" (or "gitch gonch") is a widely known Canadian term for underwear! Even more research led me to finding that "gotch" may have its roots in a Ukrainian word gatky, which in the case of my grandmother makes perfect sense since she lived in a neighborhood full of Polish and Ukrainian immigrants. Live and learn. Today, August 5th is National Underwear Day! The perfect time of year to celebrate, what with the temperatures being conducive to prancing around, underwear clad, in one of the many Underwear Day celebrations! Since it is also back-to-school shopping time, remember to buy underwear! Reading about underwear is fun, too, especially if you're in the kindergarten through grade 2 demographic! Adults, may be interested in the historical, fashion, or romantic aspects of underwear. Here are a few titles of interest for National Underwear Day! It should have come as no surprise that there's an underwear day, after all, in August, there's also a mustard day, a vinyl record day, a left-handers day, a bad poetry day, and a kiss-and-make-up day. It seems there is a day for everyone and everything! *In case you're wondering why my grandmother's underwear was the subject of discussion, keep in mind that it was the time before electric dryers, when people hung their wash outside, apartment building to apartment building, and across alleys in full view of the world! School Time Will Be Here Before You Know It! Yes, there's still a month left before the school year begins, but, if you have a little one who will be going to school for the first time, August can be used to slowly introduce the child to the concept of school. One of the titles below may work as an introduction to this new experience. Don't make a fuss over "preparing the student." Encourage questions and let the child see that school is not something to be feared. (It is quite often the parent who is feeling anxious and that anxiety transfers to the child, so be aware of your own fears, and how you may be influencing your child through your tone of voice, facial expressions, and body language). As with every new book, the parent should read the book first to make sure it is the right book for the child! If you've visited the Library lately, you will have noticed the large wooden painted school house as you walk in the door. 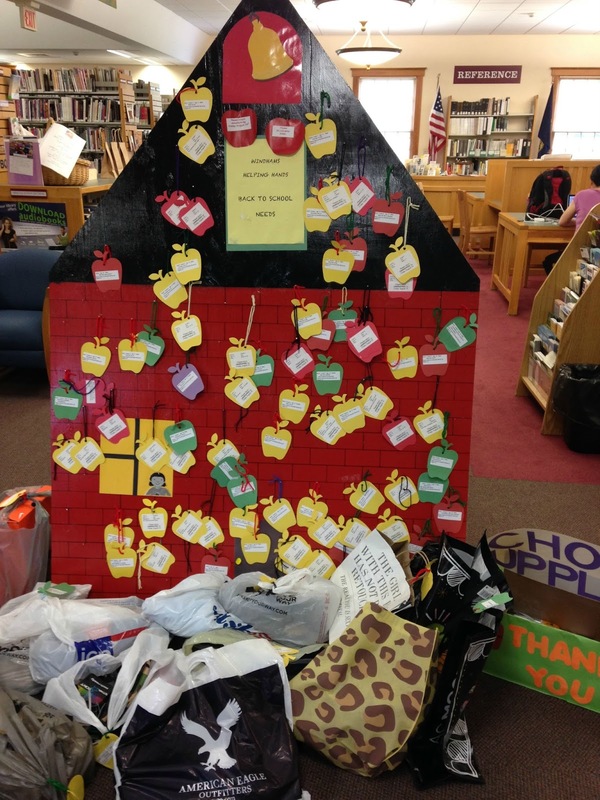 It is a community project of Windham's Helping Hands set up to help families provide new clothing and school supplies for students returning to school in September. Each paper apple contains an item request, the size or other details, and the age of the child receiving the item. Items are to be returned with the apple attached to the bag no later than August 14. Time is running out and there's still plenty of apples needing to be picked. Please shop if you are able. 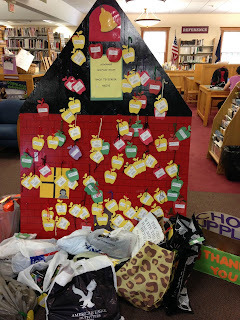 If you are not able to shop, but wish to help, money/checks are always welcomed.